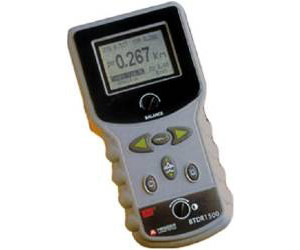 110m to 3Km TDR Measurement Ranges Automatic Resistance Bridge with Measurement range up to 100Km Built in Insulation tester,DC Voltmeter and Loop Resistance Meter Suitable for Telecom, Coax, Datacom and Power Cables Dust and Shower Proof to IP54 The CFL800E is an advanced instrument capable of identifying nearly all types of cable fault using both Time Domain Reflectometry and Automatic Resistance Bridge Techniques. It offers exceptional features and a range capability normally associated with larger, more expensive products. Location of open circuits and low resistance faults using the TDR facility can be performed from 0.1m to 3000m with a measurement accuracy of 1%. Location of faults using the Automatic Resistance Bridge facility can be performed on cables up to 100km in length (dependent on conductor diameter and resistance)with a measurement accuracy of 0.2%.